Uwe Rosenberg’s amazing 2-player tile-laying board game, Patchwork was one of the titles on my list of highly anticipated digital board games being released this year. Now we’ve just gotten word that the game will be released next Wednesday, February 24th. Digidiced, the German development team that did a stellar job with last year’s Le Havre: The Inland Port iOS adaptation are the ones steering the ship on this one as well and from what I’ve seen it looks like it is going to be another fantastic release. 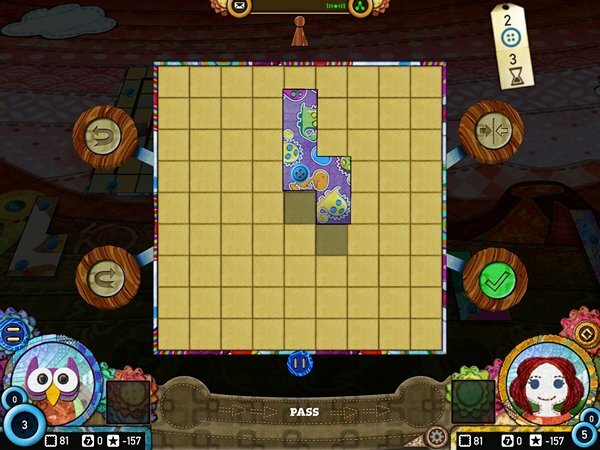 In Patchwork, you’ll go head-to-head against quilters all over the world by laying down tiles of different shapes and creating a patchwork of sorts. You’ll have to be strategic, though! With each piece of fabric placed, you move closer to the end of the time-tracking board. Go ahead and be the first one to move over a valuable single-square patch (thus stealing from the competition), but be careful: Racing to the end of the board will give you less time to build your quilt! Carefully plan each stitch and avoid creating holes — because each gap will cost you two points. Digidiced has remained faithful to the original tabletop game, retaining both the cute, unique hand-stitched aesthetic and “patchwork” mechanics intact. The game will retail for just $2.99 (a steal if you ask me) and will feature both local, as well as ranked and unranked online play. In local play you will have your choice of three levels of AI, or local pass and play. 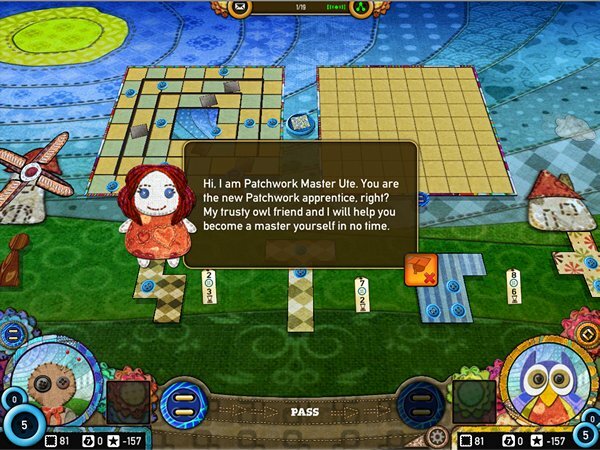 Patchwork supports cross-platform play with iOS, Google Play and Windows. There is a tutorial to get new players started with the game (although this one is really easy to pick up) as well as the ability to “analyze your best games (or learn tricks from the pros!) with the Playback function”. There are some optional IAPs as well, but these are purely for aesthetic interface themes and do not affect gameplay. For a taste of the gameplay and interface, check out the trailer below and look for my thoughts on the game when it releases next week.